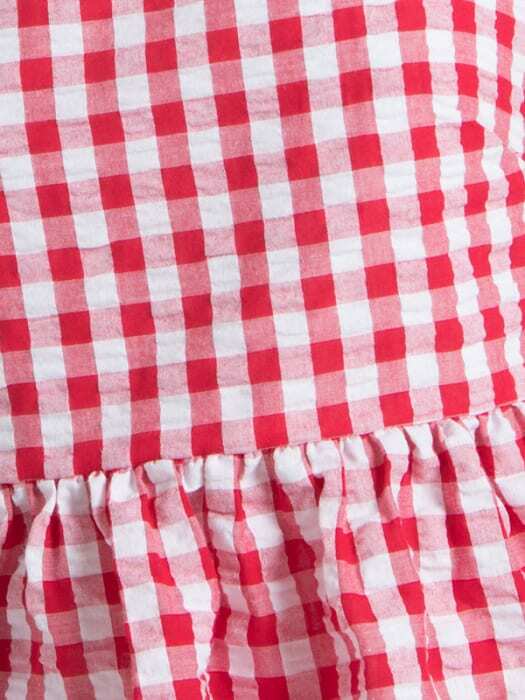 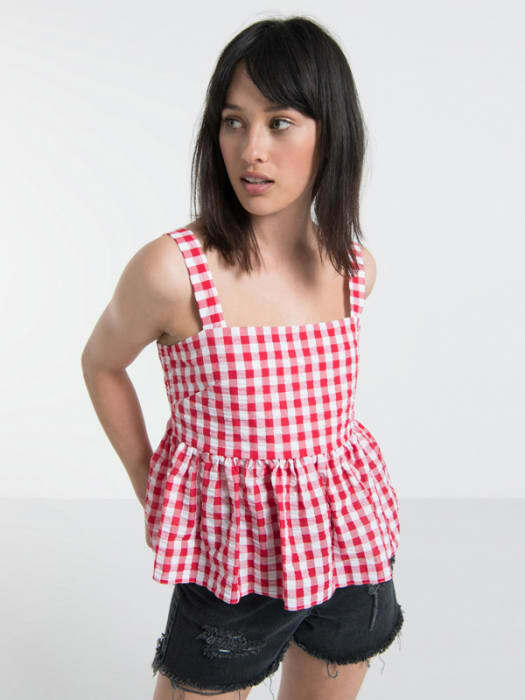 Obsessing over gingham? 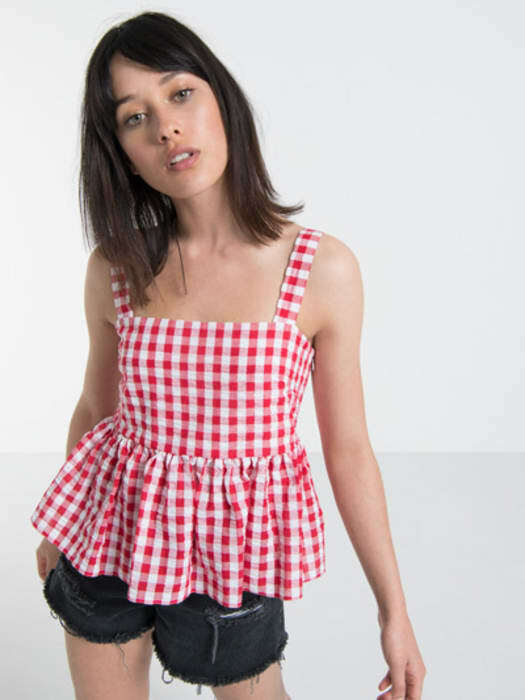 Square up to the trend in this red and white Seersucker Peplum Cami. 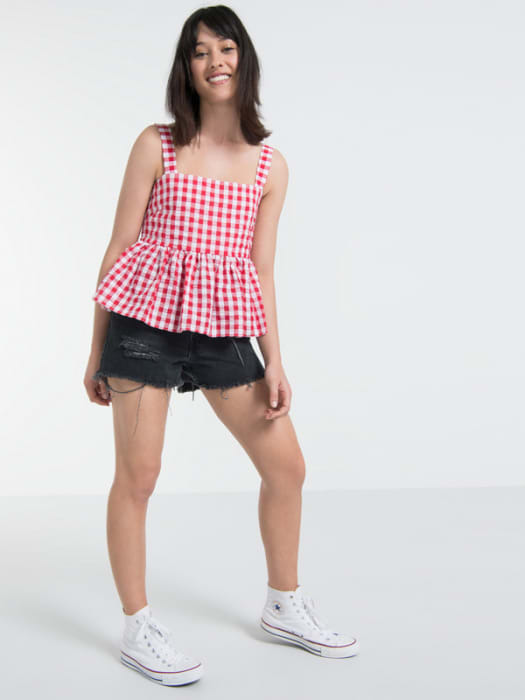 Characterised by pinafore straps and a statement square neckline, the frilly hemline’s at its best over our matching ruffle skirt.